Jessica is a Houston native and math instructor with a passion for teaching with a dream of a career in academia, a community of students and scholars engaged in higher education and research. 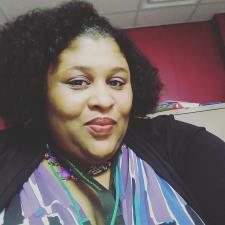 She was recently awarded a Master of Science in Mathematics degree from Texas Southern University, which provided the opportunity for her to become an Adjunct Professor in the Department of Mathematics. 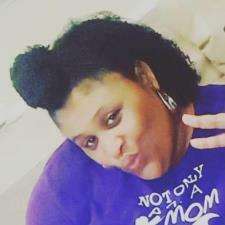 Ms. Jessica has more than 4 years of high school teaching experience, is a certified math tutor, and has organized and facilitated countless math activities for various community and campus events. She has participated in research experiences for undergraduates at Rice University and Iowa State University. She has also attended several workshops and conferences in mathematics, including the 2012 Field of Dreams Conference at Arizona State University. Jessica is an LSAMP Scholar, L. L. Clarkson Research Scholar, and named Outstanding Graduate Student for the College of Science and Technology. She has presented her mathematical research at the 105th and 106th Annual Texas Academy of Science Paper Competitions, NAM Undergraduate MATH Fest XIII, the Ronald E. McNair Undergraduate Research Conference and the Southwest Regional LSAMP Conference. Jessica is on a mission to inspire others, motivating all of her students constantly to complete their goals and encouraging them to never give up. I have been tutoring calculus for more than 10 years, after acing calculus 1, 2, and 3 myself. I teach the topic with algebra 2 and I have tutored for years. I have two years of both high school and college level teaching experience in precalculus. Provides helpful hints and positive reinforcement for my daughter! I see that the help is helping my daughter believe that she can master Precal. Thanks Jessica! My girls always talk about how Ms. Jessica always make the work seem easier to understand. As a result their test scores have gone up. I really appreciate that she take the time to make the math easy for my girls to catch on to. Jessica did great with my 6th grade daughter. She arrived on time and communicating with her was easy. She was patient and encouraging, we have booked future sessions. My daughter found Jessica very knowledgeable and helpful. She was friendly and made the session pleasant for someone who does not like math. We highly recommend her!